This post is sponsored by IncrediBundles. As always, the thoughts and opinions shared here are 100% honest & my own! Mother’s Day is right around the corner! Is it just me or have all the holidays snuck up on us this year? Either way it goes, I’m very excited to celebrate this special day, not just for myself but for all the wonderful mothers I know! I am truly blessed to have THE BEST mother in the WORLD, and I am surrounded by so many beautiful and encouraging maternal figures in my life. I am also rejoicing with the mama’s to be, and am excited for anyone who may be celebrating this special occasion for the first time! Everyone seems to get a bit frantic about finding the right gift for that special lady in their life, and whether you are still looking for something suited for that new mom, your sister, a co-worker or a friend, IncrediBundles has options for everyone!! 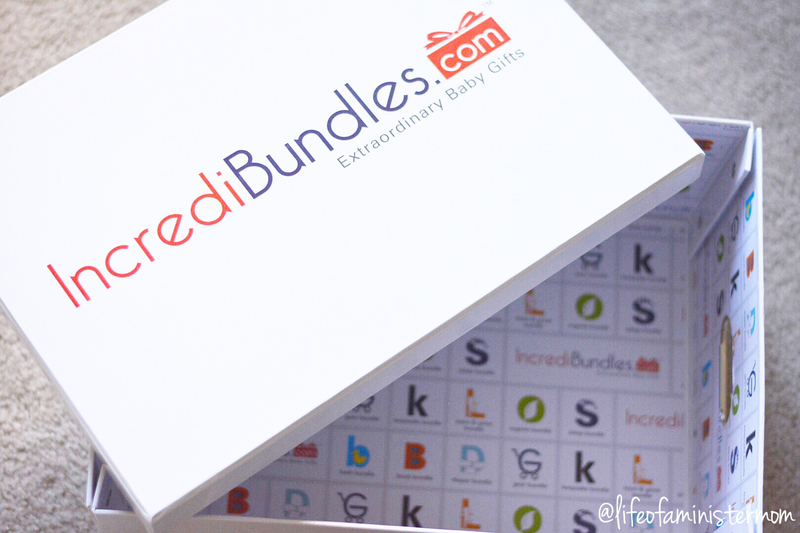 Incredibundles offers a line of incredible (ya see what I did there, lol) baby essentials and products that cover any parents wants or needs. In addition to the pampering (whether real or imagined), and pretty things (hint, hint hubby! ), I love to think of what’s practical!! Those are the gifts that truly keep on giving! This is a re-usable storage box! Do you know a mom who is short on diapers? Looking to build their library of children’s books? Searching for organic items to add to their nursery or crib? 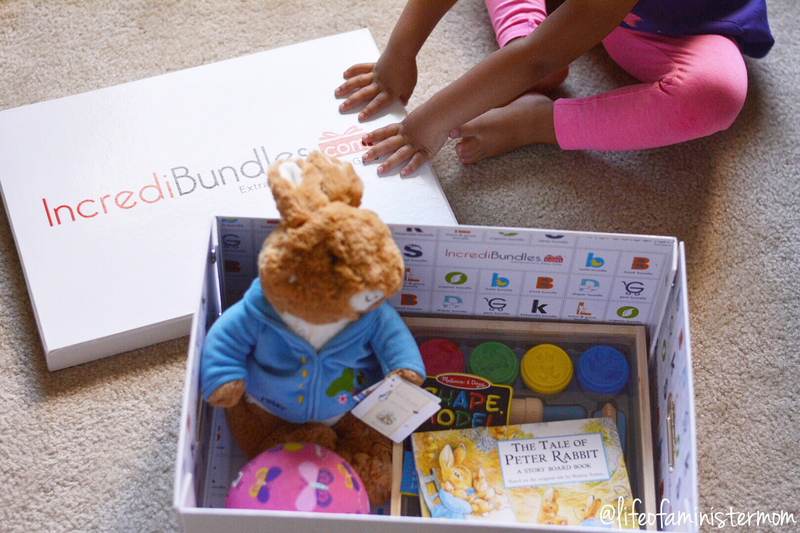 You can select a pre-made one-time bundle, or a years worth of select items such as diapers, books and the best mix of sensory and educational toys! You can even create a custom bundle which is exactly what I did! High up on my Mother’s Day wish list would be to have my daughters play together without fighting for a whole 15 minutes. Seriously!! So I selected items that were age-specific (yes, they have preschool-aged options! ), but that I believed they would both enjoy. 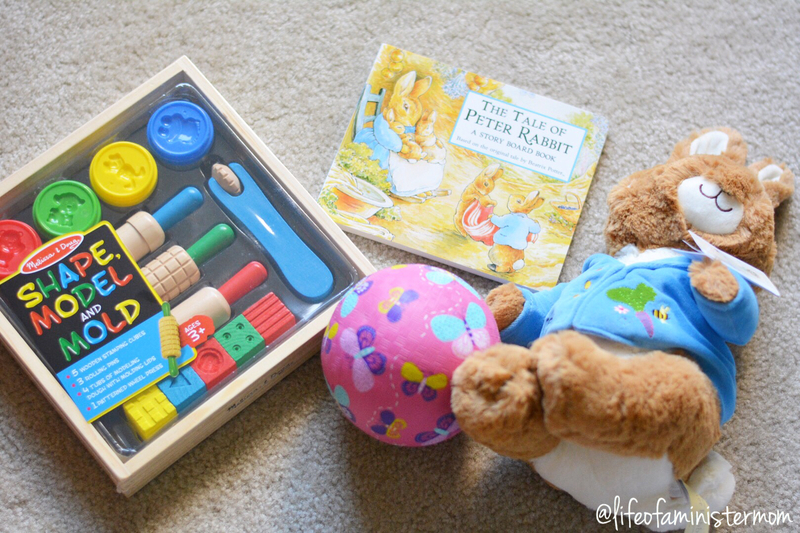 My youngest immediately gravitated towards the Peter Rabbit book and stuffed animal, while my 5 year old honed in on the bouncy ball and Melissa & Doug Shape, Model and Mold. By the end of the evening they’d rotated everything several times, and it was a joy for me to see them peacefully interact. I love a place with a variety of items to choose from, and IncrediBundles is going to make a lot of mommy’s happy this year!! I’ve enjoyed our box so much that I’ve partnered with them to give one lucky winner $50 credit to use for their shopping needs! Visit this post on Instagram for all the details! What would you like for Mother’s Day?? Please note: If Mother’s Day is difficult for you due to loss, being in a season of waiting, or something else, please know that I’m praying for you and you are loved! For mothers Day I want 6 hours of uninterrupted sleep!!!!!! I love the idea of these boxes. Perfect for tired mamas who can’t come up with gift ideas. I hope you get your sleep Amu!! Happy Mother’s Day!!! I love this idea of the perfect gift package. I always love giving a few small items when giving gifts. I would make great use of this store. Thanks for sharing. I am following on IG (gmathew1220). Thanks Gladys! They have so many options!!! I love it too Sheena!! Thanks for stopping by! 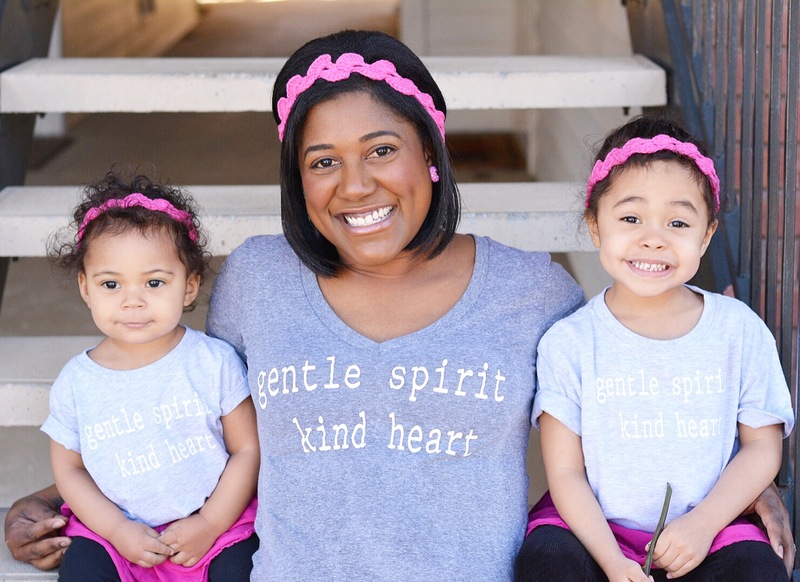 Unique gifts are definitely so valuable to a mama. Thx for hosting this. Your girls are have a great time with their box of surprises. Will have to looking this. They love it Candy!! Thanks! These bundles are awesome!! 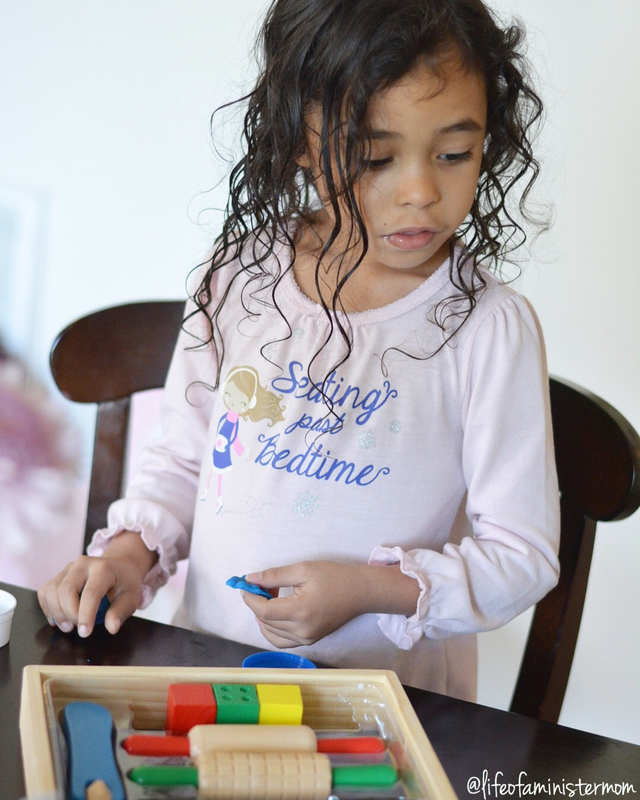 What a great gift to give for any occasion and I agree that a few minutes of quiet while they play is a huge blessing! Yes, Jessica!! It’s a huge blessing indeed!!! This is such a good idea. 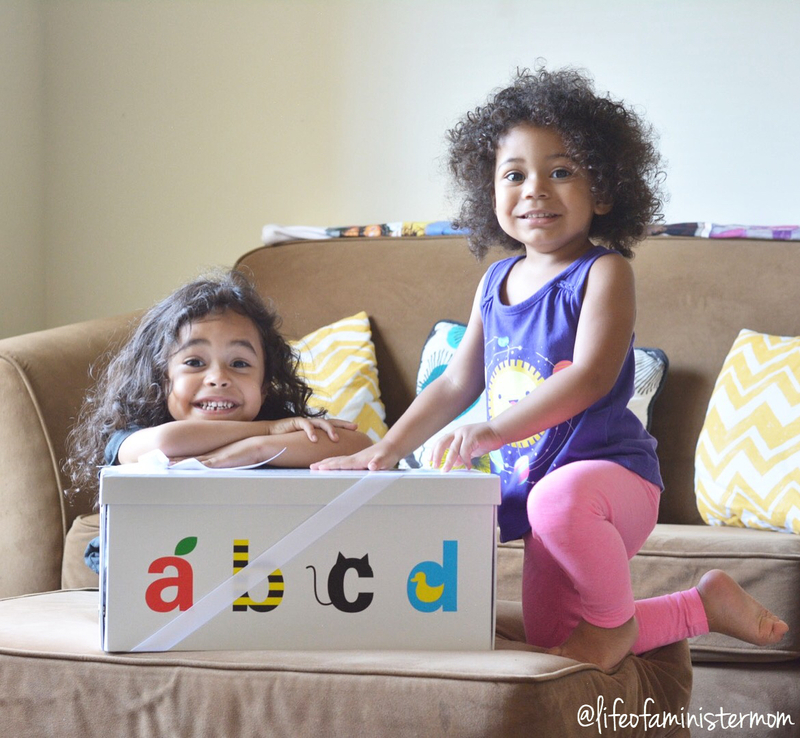 Any gift that entertains our babies so we can have a chill moment is a winner in my books! A great gift idea! I know this momma would love a little less yelling and a lot more sharing for Mother’s day. So outside of me not having to cook that day, this looks like another great gift idea to let my hubby know about. I hope you are having a wonderful Mother’s Day Ayanna!!! Never heard of this company before… will def be looking more into it! It;s so great!! They have a ton of options!! I’ve never heard of this company ! 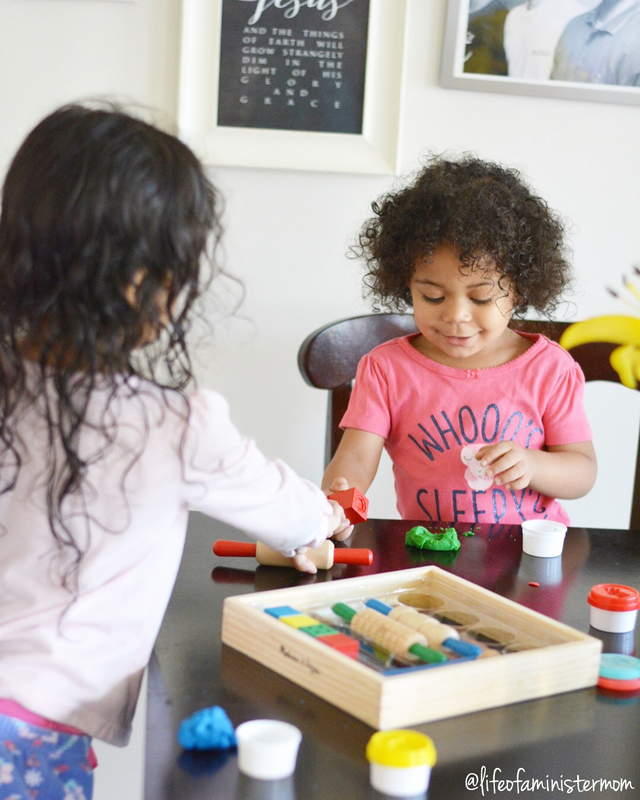 Sounds awesome I going to check them out 🙂 my son LOVES that melissa and Doug play dough set, we use it daily ! My girls are having a blast with it!! Blessings to you Natalie. Thanks for stopping by!! Thanks for the idea!! Might be a nice option to break up all my kiddos being home the summer with new activity. Yes!! That would be a great idea!! This is so awesome!!!! Something to use for your own kiddos and something you can share with others. Thanks for sharing. Happy early Mothers Day to you. Absolutely!! This is why we love it so much!! For Mother's Day, I am hoping for a nature walk and maybe a picnic. I am so glad spring weather has arrived!! These Incredibundles really are the best!! I hope you got your nature walk!! 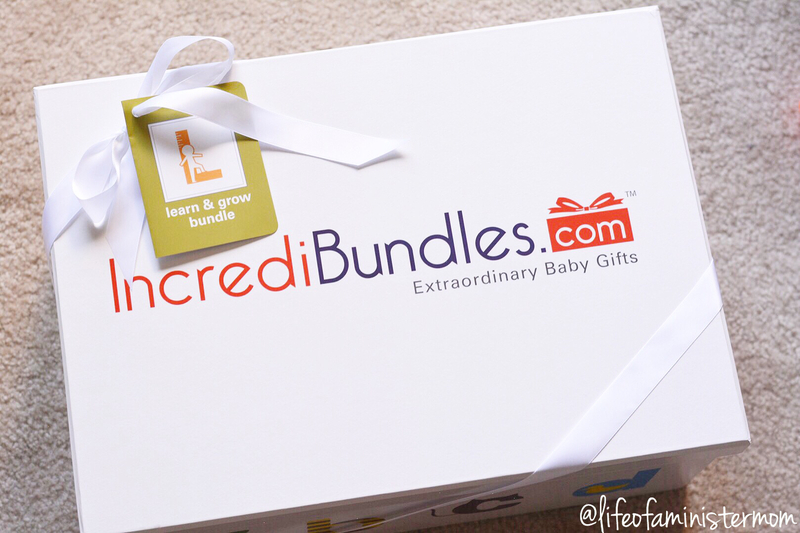 I have heard great things about Incredibundles! I will have to look into the children’s books option for my friend’s shower! They would make a great baby shower gift!!! 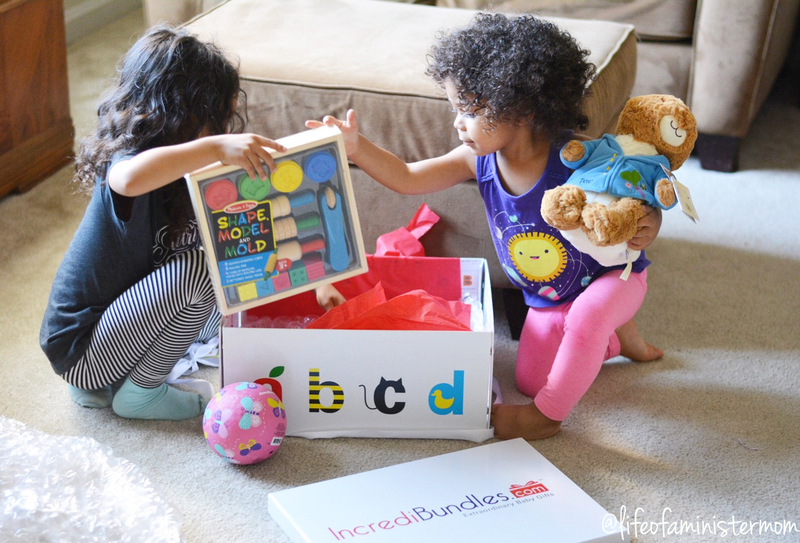 I’ve yet to use incredibundles but have heard wonderful things! They have so many fun options Rachel!! I love this idea! And the box that arrives is so cute! I love that the box is reusable!! I haven’t seen this brand before, but what a great gift for any new mother! 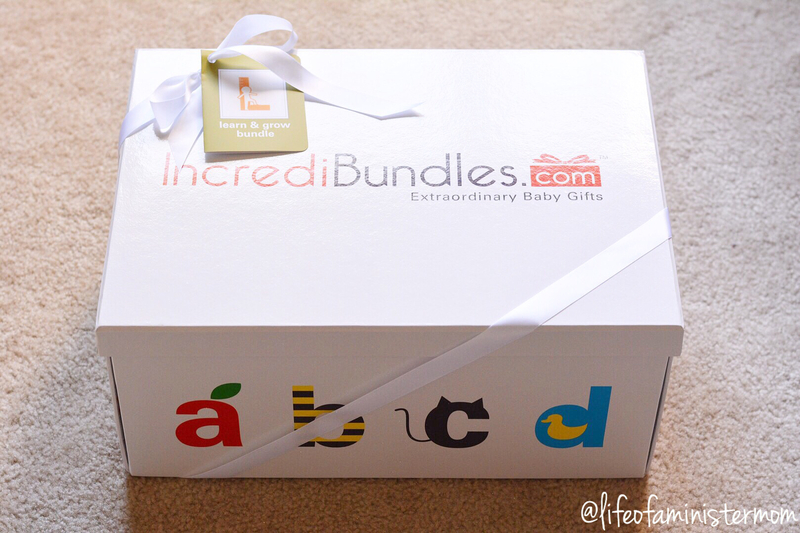 The box it comes in is absolutely adorable and the items are so great to have as a new Mama. So, so perfect for that special mama!! This is a great idea, love the box as well. Thank you for sharing .. Customizing anything is my jam, which is one of the reasons why we love this as an option!! What a great idea! I love all these subscription bundles people are coming up with. Makes life easier!! Yesssss!! Anything to help a mama out is going to be on my list!! How cute is this set!! I love Incredibundles and their convenient gift options! I love this. What a great idea. There are some really fun things in that box. My kids would love this! Thanks Camesha! I know mine sure do! !